Studded with diamonds and expensive stones, Cartier watches are definitely flashy and eye catching when worn on the wrist. When such unique products are available in the market, then settling for low cost undependable watches is not a good idea. Though being exorbitantly expensive, Cartier watches will ever disappoint you in any aspect that you judge and compare it on. It is definitely the best pick and should be a part of your accessories collection! 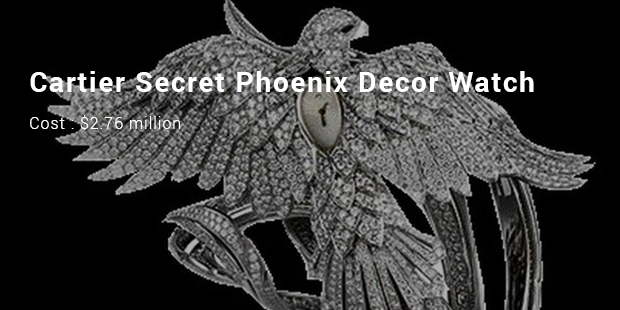 Cartier secret watch is a kind of phoenix wristwatch which is made up of 18 carat rhodium plated white gold; the eyes of the phoenix are made of emeralds and overall diamond weight is near about 80.13 carat. 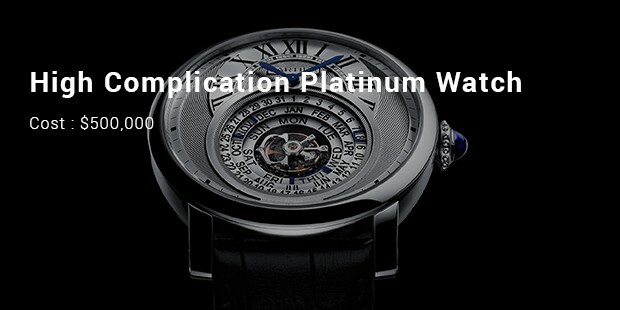 This watch is considered as the most expensive wristwatch made by Cartier. 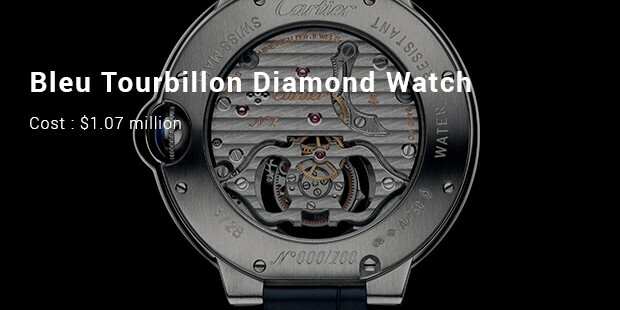 It is enclosed with 3010 diamonds. 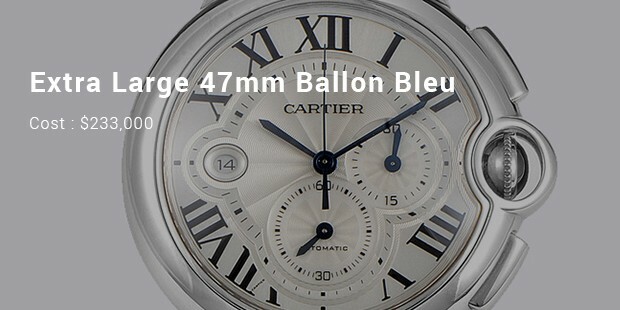 The Ballon Bleu watch is the second most expensive watch in the world by Cartier. It floats like a balloon and sapphire is nestled in its side, it looks quite stylish and adds grace in the hands of men and women. Its convex curves in the case sword shaped hands, guilloche dials and polished finishing links of the bracelet make the watch more worthy. 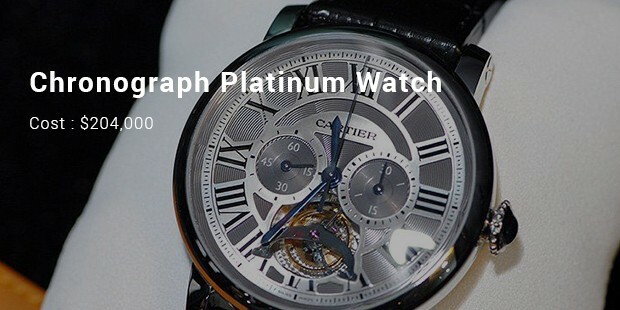 This Cartier extra large platinum watch made by Cartier has platinum case. It looks very pleasing and stunning because of its black alligator belt. It can also be worn in formal conditions. This watch has a guilloche dial which has roman numerical. Its high price is worth its style and sophistication. 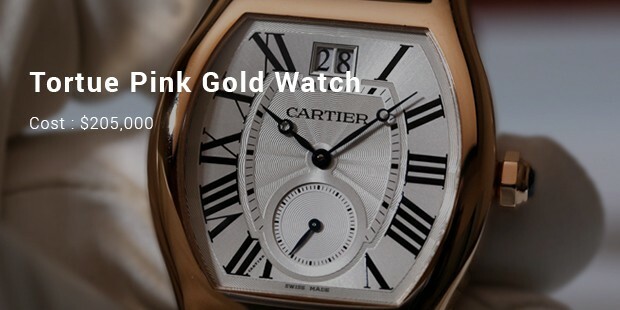 These Cartier watches are unavoidably attractive and appealing to the eyes. They not only add charm to your appearance but also make you stand out in a crowd of people. So investing in these expensive watches is worth the money and you shall never regret it.